RESERVE Bank of Zimbabwe governor, John Mangudya has warned that foreign currency shortages coupled with the country’s shrinking export bill and galloping fuel prices on the global market will continue to push up the prices of fuel in the country. Mangudya sounded the alarm bells when he appeared before the Parliamentary Portfolio Committee on Mines and Energy, where he was accompanied by Zimbabwe Energy Regulatory Authority (Zera) chief executive officer, Gloria Magombo and Energy secretary, Partson Mbiriri. He said the recent fuel shortages experienced on the local market were a result of international hikes in fuel prices, which resulted in RBZ’s $10 million weekly allocations for fuel imports falling short of the country’s normal requirements. 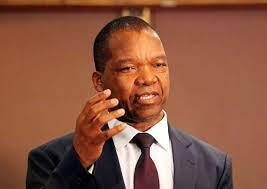 Mangudya, who bizarrely blamed the social media for exaggerating the fuel crisis, said the central bank has since doubled foreign currency allocation for fuel importation to $20 million per week to manage the supply gap. “Maybe the shortages were logistical, because from a banking point of view, we allocated foreign currency to fuel companies weekly, and we have been providing $20,3 million for the past three weeks to fuel marketing companies on a weekly basis,” he said. “International oil price projections suggest that oil prices may reach $100 per barrel by the end of 2018. Zimbabwean petrol is blended with ethanol, which is produced locally, but Mangudya did not explain what he meant when he said fuel was 100% imported. Instead, he said the adoption of plastic money would preserve foreign currency. “If we all use plastic money, we will preserve US dollars to purchase fuel,” Mangudya said. “The international price of fuel was $47,60 per barrel in June 2017, it was $71,90 per barrel in April 2018. “It is about 30% increase and it means we were spending $1 on fuel in June 2017 and now we are spending $1,35 and these are factors that are outside Zimbabwe’s control.” The RBZ boss said as long as the country’s imports bill continued to outweigh the export one, shortages would remain unresolved. He said the country was spending $5,5 billion against $3,7 billion for exports, adding that in January this year, there were $2,2 billion exports, meaning the economy was expanding and the demand for fuel was increasing. Mangudya said the country spends 40% of its foreign currency earnings on fuel imports, with diesel taking a lion’s share of $851,7 million, while $384 million is spent on petrol imports, giving a total of $1,2 billion per year. The figures exclude import costs for liquified petroleum gas and electricity. Mangudya said, next month, the country would require $91 million for fuel imports, projecting that the figure could rise to $100 million per month by year end.